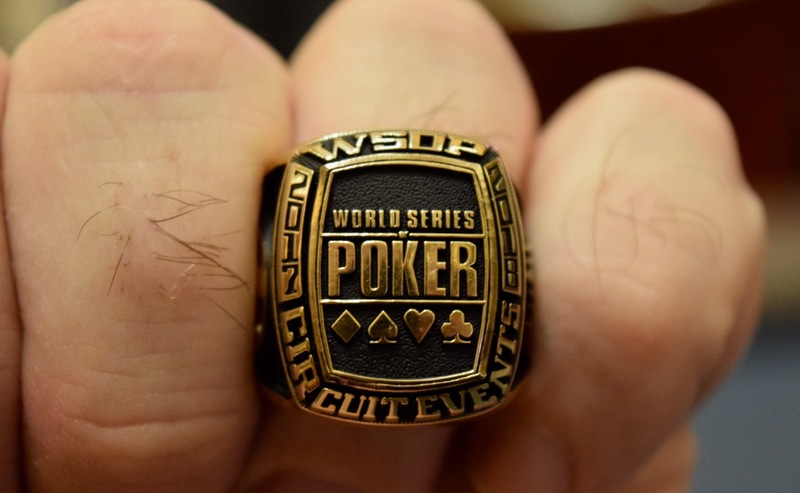 The ring pictured above - and $78,199 - goes to the winner of @WSOP Circuit Event 1, the record-setting 1,511 entry $365 that came in with a $453,300 prize pool. That's a 214x ROI for the math geeks, BTW, to the champ. 153 players are going to cash Sunday, out of the 222 who made Day 2.